The year is 2014: Snapchat just became a thing, people used the term “tumblr” as an adjective, peace signs were used in pictures unironically, and streaming music wasn’t a thing. I’m happy to say that it was during these middle school years when I hit my prime. I was in civilization instead of the dreariness of Ithaca. No one cared about how they looked. One Direction and Big Time Rush were still bands. My friends and I were all together in the same town. School was easier and no one was stressed. Dating was a myth. Looking back, there are so many ways you and I have changed since the infamous middle school years. No one was hot in middle school and that’s ok. Everyone had braces and frizzy hair. We would post stupid Facebook statuses (actual quote from my Facebook in 7th grade: “I got a purple zebra phone case xD”). People didn’t care if their interests were “weird”; instead, they embraced their “non-mainstream” pastimes. Now, we are scared of showing our true selves because of how we will appear to others. 2. We “glo’d” up: IDK about you, but I can safely say I look better now than I did when I was 14. I didn’t know how to dress, but that could be a result of having to wear school-sanctioned uniforms for most of my life. My eyebrows were not tamed and looked like creatures on my face. Our teeth have become straighter after months or even years of excruciating orthodontist appointments. 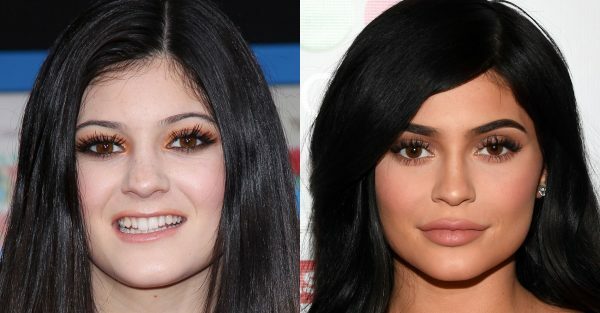 I learned how to put myself together post-middle school, and we weren’t the only ones, as Kylie Jenner underwent her glo up transformation after middle school years as well. 3. School got harder or we got dumber: School was a breeze during middle school. I remember being stressed about doing a diorama. Looking back at it, I miss the mindlessness of it all. I remember hanging out with friends at the mall instead of studying and still pulling an A. Now, I could study for hours on end and scrape by with a B-. The levity of middle school is severely underrated as kids can have fun with some form of autonomy. 4. FASHION: Ok, but the early 2010s was an incredible time during modern fashion history. It was the ~tumblr~ era filled with Docs, florals, and skater skirts. Zebra prints were all the rage. Justice was our Forever 21. People thought dip dye hair or those feathers in the hair that was very Coachella-like was attractive (not really but). I miss the quirkiness of it all. Every girl believed that Converse could be paired with anything. 5. Music and TV Shows: TV shows and music were in their prime. Disney and Nickelodeon did not air the trash series that they do now. Middle school saw the end of Hannah Montana, the Jonas Brothers, and the Wizards of Waverly Place, a.k.a. the “golden” age of television. These shows made us the way we are: a little crazy, but funny. Today, our childhood is being revived with Miley Cyrus putting on her blonde wig and posting pictures on Twitter, along with the Jo Bros reuniting. In addition, there were the bangers released during this era like Big Time Rush (really underappreciated) or Bridget Mendler who was amazing as a soloist and in the critically-acclaimed Disney movie, Lemonade Mouth. 6. DATING: LMFAOOAOAOAO this topic is still misunderstood by us college students, but even more so when we were in middle school. In 6th grade, I had a boyfriend who only was really my boyfriend, because one time, he held my books for me and was a minute late to class; I thought he was a martyr for love, but looking back, it was so stupid. Dating was easier in middle school, because there was no real complexity to it. If you liked someone, you told them, and you were most likely started “dating” the next day. Now, we are afraid of rejection, or overly burdened with the stress of a label and as a result are hesitant to entering relationships. Middle school may be a blur for some of us, but in my opinion, it conjures up images of a youthful haze. Middle school is a societal coming of age, a time that is interspersed with the new and the old: the ending of our childhood and the beginning of our adolescence. We may have changed since middle school, but that awkward innocence is still inside of us. Middle school needs to be appreciated more because those years have undoubtedly changed us forever.